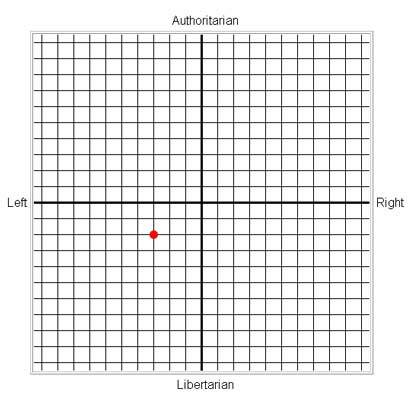 What is your political compass direction ?? There’s abundant evidence for the need of it. The old one-dimensional categories of ‘right’ and ‘left’ , established for the seating arrangement of the French National Assembly of 1789, are overly simplistic for today’s complex political landscape. For example, who are the ‘conservatives’ in today’s Russia? Are they the unreconstructed Stalinists, or the reformers who have adopted the right-wing views of conservatives like Margaret Thatcher ? Above is a plotting of my political bearings on the compass. 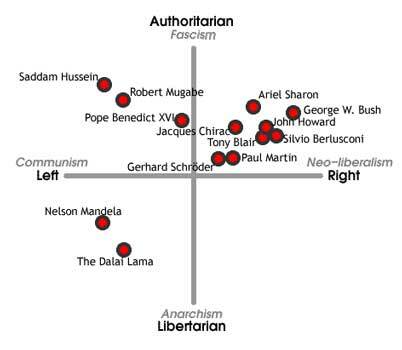 Below are the political bearings of some famous figures. I’m close to Mandela and the Dalai Lama….where are you ?? Take the test and leave a comment.